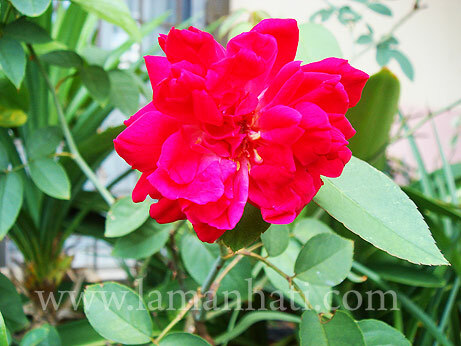 I think what I have in my garden is Centifolia rose, also known as roses with a hundred petals or cabbage rose. Well, at least until I get myself confused with Bourbon rose..huhu! So if there is any rose expert out there, please clarify my confusion. Centifolias are a complex breed of roses that have a sub class called the “Moss Roses”. All are hardy and exude a strong perfume. Bushes range form small to very large depending on the variety. 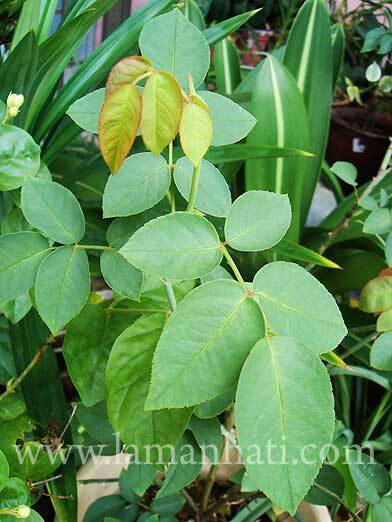 They can be prone to blackspot in areas that have rainy summers. Most are once blooming with a few varieties that are remondant – (meaning they will flower more than once a season). What I am sure of is that the rose I have belongs to the group of Old Garden Roses. The American Rose Society grouped all the rose types created prior to 1867 in the Old Garden Roses category. I am not sure what variety or cultivar, my “ros kampung” belongs to. I have tried reading through most of the varieties descriptions but couldn’t find the exact match. However for those looking for fragrant blooms, this is definitely the winner. I bought this in a home nursery during my balik kampung trip many months ago. I finally managed to get myself a pot of ros kampung..if you remember my previous entry on roses – Rose, Roses Are Red. Hopefully this one will last long. I have pruned the plant after the first season of blooming is over and now I am waiting for the next bloom.